Say: Surely my Lord has guided me to the straight way (Al-An 'am 6:151). Divine origination is the foremost characteristic of the Islamic concept and the source of all other characteristics, for this belief-­concept has been revealed by Allah Most High. The Islamic concept is confined to this one Source, not taking anything from anyone else. It is therefore entirely different from philosophical concepts, which originate in human minds, about the reality of God, the reality of existence, the reality of man, and the connections among these realities. It is also different from pagan beliefs, which originate in human emotion, imagination, and superstition. Surely We have sent down the Message, and surely We are its guardian (Al-Hijr 15:9). This is an established fact, which gives this concept a unique value. Philosophical concepts and belief-concepts, as such, have differing approaches. A philosophical concept originates in the thought of a man, the one who formulates it, in an attempt to explain the world and man's relationship with it. But such a concept remains in the cold realm of ideas. A belief-concept on the other hand, proceeds from the conscience, interacting with feelings and intermingling with practical life, because it is a living relationship between man and the world, or between man and the Creator of the world. 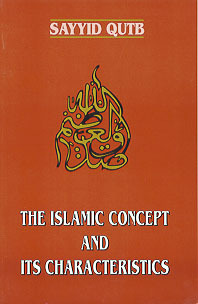 The Islamic concept differs further from other belief-concepts due to its Divine origin. It is not a concept originated by man, but comes directly from Allah. Mankind received it in its entirety from its Creator. No man, or men, invented it, as is the case with pagan or philosophical concepts, despite their mutual differences. Man's action concerning the Islamic concept is to receive it with gratitude, to understand it, adapt to it, and apply it to all affairs of life. The Divine utterances constituting the Qur'an, which bring this concept to us, are all from Allah as a gift from Him and a mercy. The thought of all the Messengers of Allah is the same, since all of them received the same Islamic concept in its original form but none of them shared in its origination. Rather they received this concept as a guide for them and through them for others. This guidance is a gift from Allah by means of which minds are opened. The duty of a Messenger, any Messenger, with respect to this concept is to communicate it accurately to others and propagate it faithfully and diligently, without mixing any human ideas -referred to in the Qur'an as ahwa or "whims" -with Divine revelations. Whether the people are guided through his efforts and whether their minds are opened to its message are not the Messenger's concern. And thus have We by our command sent inspiration to you. You did not know [before] what Revelation is and what is faith, but We have made the [Qur'an] a light, whereby We guide whom we deem suitable of our servants. And truly you guide [men] onto the straight path, the path of Allah, to whom belongs whatsoever is in the heavens and on earth. Surely unto Allah all things return. (Al- Shura 42: 52-53). By the star when it sets, your comrade (Muhammad) is not astray; neither does he err, nor does he speak out of whim. This is nothing but a revelation revealed (Al-Nairn 53: 1-4). If he (Muhammad) were to invent any false sayings about Us, We would surely seize him by his right hand and cut off the artery of his heart, and not one of you could have defended him (Al-Haqqah 69:44-47). O Messenger, make known what has been sent down to you from your Lord, for if you do not do so, you will not have conveyed His message (Al-Ma'idah 5:67). It is true that you will not be able to guide everyone you love, but Allah guides whomever He will. And He knows best those who receive guidance (Al-Qasas 28:56). If Allah wishes to guide anyone, He opens his breast to Islam, and if He wishes to let anyone go astray He makes his breast closed and narrow, as if he had to climb up to the skies. Thus does Allah inflict horror upon those who do not believe (Al-An'arn 7: 125). We cannot overemphasize the point that it is the Source of this concept that makes it precious and great, because it is the only trustworthy Source, free of defect, ignorance, and whim. Defect, ignorance, and whim are characteristics of human ideas and actions and, as we saw, are embodied in all the conceptual paradigms molded by men, such as mythologies and philosophies, and in the concepts interpolated by men into the revealed beliefs of earlier times. This Source of the Islamic concept is a guarantee that it accords with human nature, responds to it from all directions, and provides for all its needs. Furthermore, from this concept proceeds the straightest and the most comprehensive way of life. The fact that the Islamic concept did not originate in human thought does not mean that it is outside the domain of the human intellect or that rational thought is prohibited in Islam. Its divine origin, however, does imply that it is the task of human thought to receive it, grasp its significance, adapt to it, and then translate it into action. As was pointed out in the introductory chapter entitled, "A Word About Methodology," there is a correct method of receiving it, and this is as follows. Allah does not want humans to receive this Divinely-revealed concept within the context of previous norms, whether these come from other sources or from their own ideas, and then to judge this concept by them or measure it in their scale. Indeed, human thought should receive all its norms and standards from this very concept, rejecting all the previous norms and standards that do not conform to it. Man should not accept any norms and standards from any other source, but should correct all incompatible norms and standards by using the method prescribed by this concept, which originates from the Divine Source. And then, whatever comes to a person's mind of feelings and ideas, values and concepts, and of the affairs of the worldly life, he should refer to the truths and standards of the Islamic concept in order to know what is true and what is false, and what is right and what is wrong. If you have a dispute concerning any matter, refer it to Allah and the Messenger (Al-Nisa' 4:59). An inherent and central part of the Islamic concept is that human reason is a great and valuable faculty to which is assigned the task of understanding the characteristics and constituents of this concept originating from their Divine Source. From them it is the task of human reason to deduce values and norms, without adding to them anything from external sources and without distorting or impairing them in anyway. Furthermore, teachers of the Islamic method of training go to great lengths to sharpen and develop this great faculty of man, the intellect, to protect it from being wasted in futile pursuits, and to prompt it toward action in all the numerous fields for which it is equipped. Although the intellect has the prime responsibility to receive and absorb this concept, other human faculties also participate in this task. Due to its Divine origin, this concept is characterized by the fact that it addresses the personality of man in its entirety and is totally within man's comprehension. Even if certain aspects of this concept relating to the ultimate questions of what, why, and how are beyond human comprehension, they are not contrary to human reason, as are the' 'mysteries" of other religions, and the concept itself is totally within the realm of human reason and logic. Human logic can never surrender itself to a con­tradiction, and there are no contradictions in the Islamic concept. But human reason knows when to surrender in the presence of a simple fact. The simple fact is that the domain of the Islamic concept includes matters, such as the Person and the attributes of Allah, the operation of Allah's will, and its connection with His creation, that are beyond the reach of human perception. This is the domain of the Ultimate, the Free and the Absolute, whereas man, a mortal creature, is cir­cumscribed in time and space and is impotent in perceiving the infinite and in knowing the totality of being. O company of jinn and of men, if you can penetrate through the regions of the heavens and the earth, then penetrate through them! You shall not penetrate through them except with authority (Al-Rahman 55:33). Vision comprehends Him not but He comprehends vision. He is the Subtle and Aware (Al-An 'am 6: 103). In fact, man as a whole, and not merely his thought, is impotent to cross these boundaries. His task is to receive these truths gratefully from Allah, the Absolute and All-Knowing, within the limits of his nature and of his assigned task. Man by nature is a creature, bound within the limits of his divinely ­given capacities, and he is mortal. He is neither absolute nor all-knowing, nor is he from pre-eternity. Hence his perception is necessarily limited by the limits of his created nature. It is further limited by his assigned task. His task is to be the deputy of Allah on earth in order to establish therein the true worship of Allah alone, as will be explained later, and therefore he has been given a capacity of perception just sufficient, neither more nor less, to perform his task. There are numerous matters not needed to discharge his responsibility, and therefore he has not been given the power to grasp them in their what-ness and how-ness, but he is nonetheless capable of grasping their possibility. This is because he knows on the one hand that Allah's will is absolutely free, and on the other that he himself is a mortal creature, neither absolute nor all-knowing, and that therefore it is not possible for him to completely grasp the attributes of the Eternal, the One Who com­prehends everything. The Qur'an mentions some aspects of reality that man has not been given the power to understand, because either they are not within the limits of his finite nature or else their knowledge is not needed in the performance of his assigned task. The Qur'an also describes how a sincere believer receives these aspects and how a crooked mind reacts to them. Among these aspects is the Person of Allah Most High. The human being cannot comprehend His Person, nor does he know of anything in Allah's Creation with which to compare Him, or to make analogy with him. Vision comprehends Him not but He comprehends vision (Al-An 'am 6:103). Another aspect of reality is the relationship of Allah's will with His creation. He (Zakariyyah) said, "My Lord, how can I have a son when I have grown old and my wife is barren?" (The angel) answered, "Thus (it will be), Allah does what He wills" (Ale 'Imran 3:40). She (Mary) said, "My Lord, how can I have a child when no mortal (man) has touched me?" (The angel) answered, "Thus (it will be). Allah creates what He wills. When He decides a thing, He says only 'Be', and it is" (Ale 'Imran 3:47). This is stated without describing how it comes into being, because description would have been beyond our understanding. Anyone who has tried to describe how creation from nothing took place has succeeded only in being unintelligible and has had to resort to some analogy from the sphere of human action. To what extent then can one deviate? Among other aspects of the Islamic concept relating to ultimate matters is "the spirit" in any of its three meanings, namely, "life," "Jibril," and “revelation." They ask you concerning the spirit; say, "The spirit is by command of my Lord; and of knowledge you have been given but little" (Al-Isra 17:85). And with Him are the keys of the Unseen; none knows them but He (Al-An 'am 6:59). Knower is He of the Unseen, and He does not disclose the Unseen to anyone except one who is pleasing to Him among Messengers (Al-Jinn 72:26-27). No soul knows what it will earn tomorrow, and no soul knows in what land it will die (Luqman 31: 34). Surely with Allah is knowledge of the Hour (Luqman 31:34). They ask you concerning the Hour: when will it come to pass? Why do they ask? What have you to tell about it? Unto your Lord is the final end of it. You are only a warner to him who fears it. On the day when they see it, it will be as if they had tarried for only an evening, or [at most until] the following morning (Al-Nazi 'at 79:42-46). Nay, but it will come upon them unawares so that it will stupefy them, and they will be unable to repel it, nor will they be reprieved (Al-Anbiya 21 :40). He it is Who has revealed to you the Book wherein are verses clear. They are the essence of the Book, and still others are allegorical. As for those in whose heart is crookedness, they pursue the allegorical part, seeking dis­sension, and seeking its (hidden) interpretations. But no one knows its (hidden) interpretations except Allah. And those of firm knowledge say' 'We believe in it; all of it is from our Lord." But no one will (truly) grasp the Message except men of understanding. Our Lord, make not our hearts swerve after You have guided us, and bestow upon us mercy from Yourself, indeed You are the Bestower of all things (Ale 'Imran 3:7-8). With the exception of these elements or aspects of the Islamic concept, which man can never fully comprehend, human thought, or human perception, in its comprehensive meaning, is called upon to think and ponder upon all the signs (ayat) of Allah both in the Qur'an and in the created universe, to see and learn, to understand and then to apply the implications of the Islamic concept in the world of conscience and in the world of events. This all-inclusive concept opens up before every individual numerous vistas of positive action. No religion other than Islam shows so much concern for awakening the human faculty of perception, for nourishing it with sublime ideas, arousing it to action, liberating it from superstition and nonsense, and freeing it from the shackles of priest-craft and the occult arts, while, at the same time protecting it from being scattered in domains that are beyond its ken and from stumbling over the intellectual trash in the wilderness of speculation. No religion has done all this except Islam. And never concern yourself with anything of which you have no knowledge. Verily, [your] hearing, and sight, and heart will all be called to account for doing so (Al-Isra 17:36). O you who believe! Avoid suspicion as much as possible, for suspicion in some cases is a sin (Al- Hujurat 49: 12). Most of them follow nothing but speculation. Assuredly speculation has nothing to do with the truth (Yunus 10:36). They have no knowledge whatsoever of that; they do merely conjecture (Al-Zukhruf 4 3: 20). Say: Travel in the land and see how He originated creation, then will Allah bring forth a later creation. Verily, Allah is able to do all things (Al- 'Ankabut 29:20). Have they not traveled through the earth and seen what was the end of those who were before them? They were stronger than them in power, and they dug the earth and built upon it more than these have built. Their Messengers came to them with clear proofs. Surely Allah did not wrong them, but they wronged themselves. Then evil was the consequence of those who dealt in evil, because they denied the revelations of Allah and mocked at them (Al-­Rum 30:9-10). Do they not see how We visit the land, reducing it from its borders (Al-R 'ad 13:41). Such examples are numerous in the Qur'an and, taken together, they provide a complete methodology for educating and training the faculties of human perception and for developing them in the right way. In the following chapters many more instances of this methodol­ogy will be presented as the occasion arises. Indeed, mankind has made a gigantic effort to know itself. Although we possess the treasure of the observations ac­cumulated by the scientists, the philosophers, the poets, and the great mystics of all times, we have grasped only certain aspects of ourselves. We do not apprehend man as a whole. We know him as composed of distinct parts. And even these parts are created by our methods. Each one of us is made up of a procession of phantoms, in the midst of which strides an unknowable reality. In fact, our ignorance is profound. Most of the questions put to themselves by those who study human beings remain without answer. Immense regions of our inner world are still unknown. How do the molecules of chemical substan­ces associate in order to form the complex and temporary organs of the cell? How do the genes contained in the nucleus of a fertilized ovum determine the characteristics of the individual deriving from the ovum? How do cells organize themselves by their own efforts into societies, such as the tissues and organs? Like the ants and the bees, they have advance knowledge of the part they are destined to play in the life of the community. And hidden mechanisms enable them to build up an organism both complex and simple. What is the nature of our duration, of psychological time, and of physiological time? We know that we are a compound of tissues, organs, fluids, and consciousness. But the relations between consciousness and cerebrum are still a mystery. We lack almost entirely a knowledge of the physiology of nervous cells. To what extent does will power modify the organism? How is the mind influenced by the state of the organs? In what manner can the organic and mental characteristics, which each individual inherits, be changed by the mode of life, the chemical substances contained in food, the climate, and the physiological and moral disciplines? We are very far from knowing what relations exist between skeleton, muscles, and organs, and mental and spiritual activities. We are ignorant of the factors that bring about nervous equilibrium and resistance to fatigue and to dis­eases. We do not know how moral sense, judgment, and audacity could be augmented. What is the relative impor­tance of intellectual, moral, and mystical activities? What is the significance of esthetics and religious sense? What form of energy is responsible for telepathic communica­tions? Without any doubt, certain physiological and mental factors determine happiness or misery, success, or failure. But we do not know what they are. We cannot artificially give to any individual the aptitude for happiness. As yet, we do not know what environment is the most favorable for the optimum development of civilized man. Is it pos­sible to suppress struggle, effort, and suffering from our physiological and spiritual formation? How can we prevent the degeneracy of man in modern civilization? Many other questions could be asked on subjects that are to us of utmost interest. They would also remain unanswered. It is quite evident that the accomplishments of all the sciences having man as an object remain insufficient, and that our knowledge of ourselves is still most rudimentary." This is how great our ignorance is concerning both the most obscure and the most obvious aspects of the reality of "man," as elucidated by one of the greatest scientists of the twentieth century, whose scholarship is undisputed and whose place among scholars, old and new, is unquestioned. All of these questions are dealt with by the Islamic concept. In the view of Alexis Carrel, the reasons for this ignorance are many. His view, which we support only in part, is based on the scientific method as known in the West and on his upbringing in Western society and in the atmosphere of “scientific research" with its typical limita­tions in the context of Western thought, which are frankly admitted by him in the “Preface." Our ignorance may be attributed, at the same time, to the mode of existence of our ancestors, to the complexity of our nature, and to the structure of our mind." There is another reason for the slow progress of the knowledge of ourselves. Our mind is so constructed as to delight in contemplating simple facts. We feel a kind of repugnance in attacking such a complex problem as that of the constitution of living beings and of man. The intellect, as Bergson wrote, is characterized by a natural inability to comprehend life. On the contrary, we love to discover in the cosmos the geometrical forms that exist in the depths of our consciousness. The exactitude of the proportions of our monuments and the precision of our machines express a fundamental character of our mind. Geometry does not exist in the earthly world. It has originated in ourselves. The methods of nature are never so precise as those of men. We do not find in the universe the clearness and accuracy of our thought. We attempt, therefore, to abstract from the complexity of phenomena some simple systems whose components bear to one another certain relations suscep­tible to being described mathematically. This power of abstraction of the human intellect is respon­sible for the amazing progress of physics and chemistry. A similar success has rewarded the physicochemical study of living beings. The laws of chemistry and of physics are identical in the world of living things and in that of in­animate matter, as Claude Bernard thought long ago. This fact explains why modern physiology has discovered, for example, that the constancy of the alkalinity of the blood and of the water of the ocean is expressed by identical laws, that the energy spent by the contracting muscle is supplied by the fermentation of sugar, etc. The physicochemical aspects of human beings are almost as easy to investigate as those of the other objects of the terrestrial world. Such is the task that general physiology succeeds in accomplishing. The study of the truly physiological phenomena, that is, of those resulting from the organization of living matter ­meets with more important obstacles. On account of the extreme smallness of the things to be analyzed, it is impos­sible to use the ordinary techniques of physics and of chemistry. What method could bring to light the chemical constitution of the nucleus of the sexual cells, of its chromosomes, and of the genes that compose these chromosomes? Nevertheless, those very minute aggregates of chemicals are of capital importance, because they con­tain the future of the individual and of the race. The fragility of certain tissues, such as the serious substance, is so great that to study them in the living state is almost impossible. We do hot possess any technique capable of penetrating the mysteries of the brain, and of the harmonious association of its cells. Our mind, which loves the simple beauty of mathematical formulas, is bewildered when it con­templates the stupendous mass of cells, humors, and con­sciousness that make up the individual. We try, therefore, to apply to this compound the concepts that have proved useful in the realm of physics, chemistry, and mechanics, and in the philosophical and religious disciplines. Such an attempt does not meet with much success, because we can be reduced neither to a physicochemical system nor to a spiritual entity. Of course, the science of man has to use the concepts of all the other sciences. But it must also develop its own. For it is as fundamental as the sciences of the molecules, the atoms, and the electrons. In short, the slow progress of the knowledge of the human being, as compared with the splendid ascension of physics, astronomy, chemistry, and mechanics, is due to Our ancestors' lack of leisure, to the complexity of the subject, and to the structure of our mind. Those obstacles are fundamental to be overcome at the cost of strenuous effort. The knowledge of ourselves will never attain the elegant simplicity, the abstractness, and the beauty of physics. The factors that have retarded its development are not likely to vanish. We must realize clearly that the science of man is the most difficult of all sciences. This exposes our ignorance about the reality of man, and about even the smallest and most obvious facts of this reality, in the view of this great Western scientist. We note that he has touched upon the main reason that is the structure of our mind. This structure is connected with man's role, which is to be the deputy of Allah on earth, and is so designed as to facilitate the performance of this role. Hence our mind is capable of advancing in comprehending the laws of matter and in controlling it, as it is also capable of understanding many aspects of "the reality of man," most of which are already known. But the secret of man's existence, the secret of life, and the secrets of man's soul and spirit will remain beyond his comprehension, because the knowledge of these things is not essential for the performance of his basic task. First; It is Allah's mercy that He did not leave man alone in his deep ignorance, as described by a great twentieth century scientist, to construct a belief-concept on his own. Rather, He gave him a comprehensive concept, governing not merely the reality of man, but also the much greater realities of the Creator Himself, of the universe, of life, and of all the interconnections among these realities. Again, He did not leave man, with his ignorance of even his own self, to construct his way of life, the form of his system, and its laws and rules, because this requires a complete and comprehensive knowledge not merely of the nature of man, but also of the nature of the universe in which he lives, as well as the nature of life, and the reality of the great Creator of this universe and of whatever and whoever is in it. Second: It is sheer ignorance on the part of some people, of earlier times or of the present, even to try to devise a comprehensive explanation of the existence of life and of man and to attempt to design ways of life and systems for human beings together with rules of conduct, even though all the while they are in complete ignorance of even the rudiments of man's nature, let alone of other greater realities. They succeeded only in piling up rubbish heaps of false concepts, in devising corrupt systems and erroneous ways, and bringing misery and sorrow to the world, for all these are nothing, but natural consequences and bitter fruits of this unseemly arrogance, which is exceeded only by the deep ignorance underlying it. Indeed, the Divinely-revealed concept that man has received from Allah is a gift from Him. It has spared this weak and ignorant creature from struggling in vain in this matter, rescuing him from trying to originate this concept on his own and thus scattering his energy in a domain for which Allah has not given him any resource or tool. People have been spared all this so that they may devote their time and effort to learning and understanding this Divine gift in order to adapt to it, to build the foundations of their lives upon it, to judge their values by its standard, and to be guided by it. If they were to deviate from this God-given concept, they would certainly fall into error and confusion and the result would be the self-same rubbish heaps of concepts and ideas, which should evoke either tears or laughter, and a repetition of the suffering and sorrow that are natural consequences of ways of life erected on this ignorance, confusion, and error. The situation of those who, on their own, try to invent belief systems or to construct a philosophical concept for the explanation of existence and its interconnections is worse than the situation of the lone explorer described by Professor Nadwi, and is more dangerous for the life of mankind. Still more dangerous than this is the distortion of a revealed message, and, in particular, the distortion of the message revealed to Jesus, the establishment of the Church of Europe, deriving its authority from this distorted Christianity, and the subsequent imposition of its false concepts by the use of force through the insistence on its erroneous teachings concerning the physical world and through the savage suppression of scientific research within its rightful domain by claiming religious sanction for such matters. While the true religion of Jesus is not to be blamed for it, all this persecution was carried out in the name of religion. This whole calamity descended upon the heads of millions of people because human thought was interpolated into the original Divinely-revealed teachings of Jesus, rendering them distorted, mis­shapen, contradictory, and unintelligible. All the European schools of thought, from "Idealism" to "Positivism" to "Dialectical Materialism," originated in the revolt against religion and religious thought, and came into being only because of these distortions in the teachings of Jesus. This shows the enormity of the plague brought upon mankind by the interpolation of human thought in a divinely-revealed message. Such a devastating calamity has no parallel in human history. In order adequately to clarify this important point, it seems ap­propriate here to present a brief review of the history of European thought as a direct consequence of distortions and interpolations of human ideas in the religious concept, of its subjugation to political exigencies, and of the influence of racial and pagan heritages. Perhaps this summary may open our minds to the wisdom and the mercy of Allah Most High in preserving the Islamic concept from distortion by human beings. The divinely-revealed Islamic concept has remained free of such human attempts as “Reformation," "Protes­tantism," or "development of religious thought." This concept alone remains in its pristine purity, untouched by human ignorance and error, as a secure refuge for mankind and as a source of guidance, solace, and satisfaction. It is sufficient for our purposes to quote from Muhammad Al-Bahi's book, The New Islamic Thought and Its Connection with Western Imperialism, under the heading, "Is Religion a Drug?" "Since the fourteenth century, European thought has passed through four stages. These stages are related to the justification of one or another of the three sources of knowledge prevailing in the history of mankind up to modern times; religion, reason, and sensory percep­tion or facts. At every stage, the relative 'value' of the three sources in providing positive or certain knowledge came into question. These stages are characterized by a positive or negative answer to this question of sure knowledge. Controversies relating to the importance and value of these sources of human knowledge have led to various schools of thought. "The Supremacy of Scripture and Religion: During the long centuries of the medieval period, religion was predominant in direct­ing human affairs, in organizing institutions, and in explaining the world. The religion here referred to was Christianity; Christianity meant Catholicism; and Catholicism meant Papism, that is to say, as the Vicar of Christ, the Pope was the final authority. The interpretation of the 'Holy Book' was strictly limited to the Pope and the College of Cardinals, so that 'what the Book says' meant 'what the Catholic Church says.' Thus, the Church formulated the doctrine of the Trinity and introduced confession and indulgences, and whatever else relates to the Catholic faith and practice. "This state of affairs continued until the fifteenth century, by which time the positive ideas which the Crusaders had brought back from the Muslims to Europe had gradually changed European thinking. Martin Luther (1453-1546) stood up against the authority of the Catholic Church, castigating its teaching as 'satanic.' He opposed the sale of indulgences, which only perpetuated the enslavement of the masses. He fought against the concept of the Trinity as well as that of Papal infallibility, declaring that only the Holy Book was the final authority and demanding the freedom to study the Book. But he did not demand total freedom of thought. He stated that the Holy Book is the source of faith and that faith has priority over other matters including reason and observation. "In the footsteps of Luther came Calvin (1509-1564), who affirmed with Luther that the Bible is the only true source for 'real Christianity' and that belief in the Trinity as defined by the popes is no part of true Christianity. "It may be noted that what Luther and Calvin wanted to reform was Papal Catholicism. The philosophers, who began to object to religion in the wake of these reformist movements, also objected to papal authority. When they pointed to the contradictions between reason and 'religion,' they meant contradictions between common sense and the teachings of the Catholic Church such as the Trinity, the sacra­ments, the sale of indulgences, and so on. Anyone who defended Christianity among the philosophers, as for example, Hegel, defended its 'pure teachings' as expounded by Luther, in contrast to the teach­ings of the Catholic Church. "Thus, whenever 'religion' is spoken of, whether favorably or unfavorably, in European philosophy it means this particular form of religion. It extols human reason, proclaiming that the future of mankind will be by its hand once it is rid of its past heritage of suppression and denigration. The line of progress will then be very clearly defined. It demonstrates boldness and intellectual courage in sub­mitting every historical event to the test of reason. The same boldness is shown in applying reason to political institutions, economics, law, religion, education, and so on, in order to rest them on a rational foundation. It proclaims its faith in cooperative efforts for all human affairs, in the brotherhood of man on the basis of this new civilization based on reason, and in marching forward from progress to progress. "Reason has the right to be the supreme guide in all human affairs such as politics, law, and religion, and the ultimate goal for man is humanism. "This period is called by such names as The Age of Enlightenment, The Age of Humanism, and occasionally as The Age of Deism. Deism is a belief in the transcendent deity postulated by the philosophers. This deity is neither the Creator of the universe nor concerned with human affairs, nor does He send down revelation. All these names signify the supremacy of human reason. 'Enlightenment' had no other purpose than to depose religion from its throne of authority and to put reason in its place. 'Humanism' existed to replace 'the pleasure of God' as the ultimate good, while 'God,' who does not create or reveal Himself, was merely an entity that conformed to the dictates of reason. "Throughout this period there existed a conflict between the teach­ings of religion and the dictates of reason, and a diligent effort to subdue religion by reason. Thus this age is characterized by the supremacy of reason just as the age preceding it was characterized by the supremacy of religion. The religion here was the Christianity of the Church and the field of this conflict was all those aspects of life where the Church was dominant, such as faith and belief, knowledge and science, politics and law. "The Supremacy of Senses. This Age of Enlightenment came to an end by the beginning of the nineteenth century. The subject of controversy, however, continued to be the same: the relative impor­tance of religion, reason, and sensory perception or 'nature.' Nineteenth century Europe now inclined toward the supremacy of 'Nature' or 'facts' over both religion and reason as a sure source of knowledge. It was the Age of Positivism, signifying a philosophy of knowledge with its own climate of thought. This climate of thought came into being in the first place because of a certain abhorrence among some scientists and philosophers toward the Church. The Church had a particular kind of knowledge, the Catholic doctrine, which it had imposed for a long period of time on everyone, including scientists and researchers. The Positivist not only rebelled against this doctrine, but also against all religious knowledge, and even all metaphysical knowledge. In addition to this, the Positivist also op­posed the philosophies of The Age of Enlightenment, 'Rationalism' and 'Idealism,' which, according to the Positivists, were completely bankrupt in attaining their stated goal, namely, to replace the religious objective by the objective of humanism and human welfare. Strangely enough, this philosophy in the time of Hegel tended once again to support religion and religious inspiration. "The main objective of positivism was to oppose the Church, or to oppose its type of knowledge, that is, metaphysical and rational knowledge, in the name of 'science.' But positivism merely replaced one religion with another, with its own forms of 'worship' and its own 'priesthood,' its saints and sacred symbols, exactly paralleling the Catholic Church. "Positivism is based on the affirmation of fact. Fact, sensory per­ception, natural phenomena, and reality are synonymous in the vocabulary of the positivists. According to them, any proposition that does not admit of being ultimately reduced to a simple statement of fact can make no intelligible sense. Thus, nature, that is to say sensory perception, is the only source of sure and positive knowledge. It is nature that imprints facts on the human intellect, inspires it, and provides it with clear guidelines. Indeed, the human intellect is nothing but a creation of nature. There is nothing beyond the world of phenomena that can provide knowledge to the human intellect or dictate to it nor anything within man's own self that can inform him about anything real or true. Whatever is supposed to have come from beyond nature is an illusion of reality, and not reality, while whatever is produced by the human intellect on its own is mere imagination and a reflection of reality and not reality. Hence religion, which is the revelation from 'beyond nature,' is nothing but a deception. The theological explanation of natural facts is a mere stage in the history of ideas. Similar is the case of the metaphysical or 'ideal' approach to physical phenomena. These do not represent reality but are only products of human imagination and mere reflections of reality. "When people talk about human personality, the rights of man, or the role of man in this world, or the nature of the world, based on religious knowledge or on philosophical reasoning, they are propounding unreal dogmas with no basis in observed fact. These are lies invented to lead people into religious deceptions or to pander to their high opinion of themselves. "The human intellect, together with the knowledge it contains, is a product of nature, which is represented by inherited characteristics, the environment, and socio-economic conditions. The human intel­lect is a creature but its creator is the physical world. It thinks but only through interaction with the universe surrounding it. It is imprisoned and determined by the laws operating in the body and brain. There is no Mind prior to Matter, nor is there knowledge prior to human existence. And both mind and knowledge appear with the appearance of the human being, who himself is a product of the material world. "Nature speaks concerning itself and the human being must listen to it. As he is constrained to live within the natural world, he must follow Nature's logic, and that logic is one -not the logic of theologians, nor of metaphysicists, nor of psychologists -but the logic inherent in human nature propelling it along a straight, narrow path, setting its goal and inexorably leading toward that goal. "The natural path for every human being starts at the individual and ends in the group. The individual himself is not the ultimate goal of his existence, nor should he be the object of his striving. The ultimate goal of all one's striving is the annihilation of the self in 'humanity,' just as a mystic's goal is to annihilate his self in the God whom he worships. Humanity must occupy the place of God, and each individual must sacrifice himself in order that 'humanity' be preserved. "Hegel had centered his thought around the notion of Spirit or Mind: Mind is real and matter is its reflection. Marx inverted this by saying that the basic reality is material and mind is merely a reflection of it. Marx contended that the generating influence on men's political, social, and moral phenomena was the sum total of the material circumstances (i.e. economic) of any historic time. In the view of Marx and Engels, all human history was to be seen as a movement brought about by conflicts in the material order, which is to say that history is a dialectical materialistic power. "Only change in the means of production and consequent economic development influences a society and its political structure, science, and religion. Thus, all cultural and intellectual attainments are branches of economic life. The entire course of human history is nothing but the history of the economic law of motion." These stages in European thought, as outlined by Muhammad Al-­Bahi, are the various consequences of running away from the distorted concepts of the Church and from its abuse of authority in the name of religion. In one direction lay the philosophy of Idealism, which rejected religion and the supremacy of Reason in various ways, such as the philosophy of Fichte and the support of the concept of the God of religion as the Absolute in the philosophy of Hegel. In another direction this rebellion against the Church went toward the philosophy of Positivism in the hands of Comte and Stendahl, and then toward dialectical materialism in the hands of Karl Marx and Engels. This long detour in European thought was a direct result of tamper­ing with the revealed religious concept and introducing human dis­tortions into it by the Church and by a succession of Councils. When an impartial inquirer looks into these wanderings in the wilderness of thought, in frantic attempts to run away from God in order to get rid of the yoke of the Church, he will only find that such attempts failed miserably in clarifying ideas or in coming closer to anything" concrete." After all these mental gymnastics, one cannot even say that they succeeded in getting rid of metaphysical riddles. Take, for example, the philosophy of rationalism wherein “reason" is held to be supreme, which is supposed to guide us without reference to God or physical phenomena. Where is this ideal reason to be found? What is its nature and its laws of operation? "Every person has a concept of his own Self. The Self is sharply distinguished from the rest of the universe, the Not-Self, which it knows, but which is other than it. Thus the self is also the Not-Self. But the existence of Not-Self is entirely dependent on the existence of Self and has no independent existence. Thus Self, which contains in itself Not-Self, is both Self and Not-Self. "But the Not-Self has no reality. Whenever the human being looks into himself he is conscious of Self, and the things which are outside the Self, i.e. the Not-Self, which are perceived by us as a separate reality, are but a product of mind. "Hence, to start with, Self exists by itself and Not-Self does not exist. The Self (or mind) imposes its categories upon experience, and every object other than Self is a product of Self." Now, this kind of an argument has nothing to do with our practical lives, and is merely an exercise in verbal jugglery. Why should the existence of Not-Self contradict the existence of Self? Why cannot there be things and objects as well as minds? But the main purpose was to depose the God of the Church and to put in His place some other god who will have neither priests, nor Pope, nor churches. So "the Mind" became that god, needing no priests or churches, and this was the ultimate objective. While Fichte employed the principle of contradiction to argue for the supremacy of the mind, Hegel employed it to establish the reality of the Absolute. The dialectic process of Hegel exhibits a triadic movement. This is a movement from thesis to antithesis and finally to synthesis, after which the synthesis becomes a new thesis and so on. The human mind, then, moves dialectically, constantly embracing an ever-increasing scope of reality which discovers the truth of anything only after discovering its relation to the whole, to the Idea. According to Hegel, the Idea in its wholeness, the Absolute Idea, is eternal and was self-existing before the realm of Nature or finite minds came into being. This Absolute Idea is what religions refer to as God. But Hegel was not referring to a Being separate from the world of nature. As he puts it, Nature represents the Idea "outside itself" That is to say, Nature is the rationality of the Idea in external form. But there are not two separate entities, Idea and Nature. Ultimate reality is a single organic and dynamic whole. The distinction between the Idea as "behind" all things on the one hand and Nature on the other, is simply to distinguish between the “inner" and the “outer" aspects of the self-same reality. Nature, in short, is the antithesis of the thesis Idea. Our thought moves dialectically from the rational (Idea) to the non-rational (Nature). The concept of Nature leads our thought finally to a synthesis represented by the unity of Idea and Nature in the new concept of Spirit or Mind. This is an example of "Idealism," which the European thinkers quickly abandoned in favor of "Positivism." Indeed, they were right in abandoning it. This kind of philosophy is purely intellectual and has nothing to do with the practical affairs of human life. But the leaders of Positivism, in their revolt against the God of the Church and the godhead of "Absolute Idea," did not move toward anything better. They ended by making the phenomenal world, or Nature, their god. But what is this Nature, which, according to them, has created the mind and imprints reality on the mind? Is this some well-defined being? Is it the universe as a whole? Or is it the various "things" and their shapes and movements? Does it have an existence independent of the human concepts concerning it? Or is it what our senses tell us it is? Again, did it' “create" the human intellect out of nothing? How is it that it created intellect in man but not in animals or in plants? Does Nature have a will and a power to make decisions, so that it singled out human beings for the bestowal of this gift of reason? Again, if its reality is manifested in human thought, how can we say that it does not depend on the existence of the human mind? How is it that this Nature is the' 'Creator" of the human mind, while it makes its appearance nowhere except in the human mind? Thus, these philosophers present us with a thousand unanswered questions -and they point to Nature. What is this Nature? Is it matter in the universe? What is the nature of this matter? They themselves admit they do not know what this thing, which they term “matter" and consider to be something permanent, really is. When matter transforms it becomes energy. So is energy Nature because it is matter? Or is matter, in which energy expresses itself as objects possessing masses and shapes, the' 'Nature" of these philosophers? In which of the two states, mass or energy, does it create the human mind, since this" creator" itself remains perpetually in motion, transforming from particles to energy, from energy to objects, from objects to particles, and from particles to energy? During these transformations, at which stage does it impart life and consciousness? When did this "god" acquire the power of creation? In which of its states? And if this Nature “imprints the reality on the human mind," why on the human mind alone? Does it not speak so that all living beings hear it? Does it imprint the reality on the minds of mules, donkeys, parrots, and monkeys, or not? And is the reality that it imprints on the mind of a parrot or a monkey the same reality that it imprinted on the minds of August Comte and Karl Marx? Again, if Nature imprints reality on the human mind, does it imprint the correct reality? Did not this reality and this mind decide that the earth was the center of the universe, and then again that the earth is but a small planet, moving around the sun? Did not this imprinted reality and the mind assert that matter and all objects are mere sensory perceptions and that matter is nothing but a product of mind? And did it not assert that the mind is but a product of matter? Which of these contradictory intellectual judgements are the realities imprinted on the human mind by Nature? Does one observe that it makes mistakes in its imprints? Or is it the human mind that makes mistakes? If so, is it not then an independent and active agent? How can the positivists assert that it is nothing more than what this Nature has made it to be? We shall leave the discussion of the origin of life, its manifestations and secrets, to a later chapter in this book, when we shall discuss this subject in the context of Islamic concepts and other concepts. Rather than discuss the origin of life and its secrets here, we merely ask: What is this “god" which the philosophers of Materialism are trying to present to us? In terms of our experiences, ideas, or point of view, we do not find in it anything solid and clear to hold on to. One wonders why anyone would adopt this “idol," seeing that it is neither concrete to the touch, fixed for the sight, nor even firm as an idea? And, praise be to Allah, we are not running away from the Church! We cannot help but shudder in utter disgust at the narrow mentality of Karl Marx and Engels in their distorted perception of the life of mankind, and of man's motivations and field of actions. They have imprisoned man's scope within the mouse-hole of the "the factors of production." Think of all the great forces of the physical universe and their miraculous harmony in producing the exact conditions suitable for human life and human endeavors, and think of the special place that human beings occupy in the scheme of existence, and then think of how Marx and Engels turned their backs upon all this greatness and beauty to hide their heads within the narrow confines of economics and factors of production, not merely as the goal and motivation for human activity, but as the First Cause, the Creator God, and the Controlling Lord. One can only throw up one's hands in utter con­tempt and disgust at the pettiness of their mentality. After mentioning all this, we return to the point that this entire calamity, from beginning to end, befell the peoples of Europe only because the Church and the Councils deviated from the divinely­ revealed concept. This left no choice for the European thinkers but to try to run away from the Church and its God. We thank Allah Most High that the divinely-revealed Islamic concept has remained pure and there was no "Church" to tamper with it. The sort of conflict, which in Europe gave rise to all this metaphysical and speculative trash, never occurred in Islamic civilization, because there can be no conflict between the Islamic concept and human reason or human experience. We proclaim that the Islamic concept leaves a vast field of activity for human reason and scientific experimentation. It does not put any obstacles in front of reason for doing research and for engaging in contemplation in order to discover the universe and its workings. Indeed, the Islamic concept encourages and inspires it to engage in such research. Again, it does not stop scientific experimentation, but counts it as a necessary function of man's role as Allah's deputy on earth. We appreciate the great blessing and favor of Allah upon us in giving us this concept and keeping it secure from human interpolation and interference. For a detailed discussion, refer to the chapter entitled, "Intellectual Training" in the book, The Islamic Educational Method, by Muhammad Qutb. Man the Unknown. Harper & Brothers. 1935. pp. 4-5. Man the Unknown, Harper & Brothers, 1935, pp. 8-10.